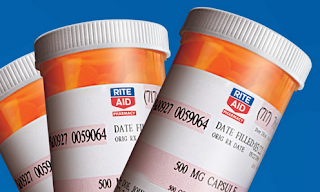 After the close, Rite Aid (RAD) announced the intent to vote on a reverse split at a special meeting on March 21. The stock trades below $1 and the company needs to regain compliance with the NYSE so the move isn't surprising. The company is looking at reverse splits of 1:10, 1:15 or 1:20. The problem for shareholders is that stocks tend to drop after reverse splits because the move further provides opportunities for traders to sell a stock above $5 that didn't exist below $1. In the case of Rite Aid, the split means that the stock will effectively trade at $10, $15 or $20 after the split. The big problem here is that the stock is only expected to earn $0.03 per share next year. The EPS trend continues to get worse. At best, Rite Aid will trade at $10 with an EPS target of $0.30 in FY20. Will the stock maintain a forward P/E ratio of over 30? Highly unlikely, especially considering the actual EPS will dip even lower. One must stay away from this stock until the EPS trend improves and the reverse split is out of the way.